« Can Sherry Be the Next Big Thing? Congratulations, Mike! Well done in every way. Well done, my friend. 10 years is a lot of writing. Happy Anniversary Mike. Have enjoyed your posts over the years. 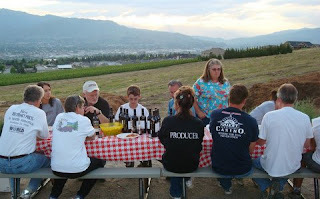 Our Cast Wines endeavor in Dry Creek Valley celebrates its third anniversary this weekend as well. Seeing your first column shows how many things remain the same despite constant evolution in this challenging business! Cheers! Congratulations Mike, hope to see you back in the Caucasus soon ! Congratulations and many more years of writing about and drinking the wines. 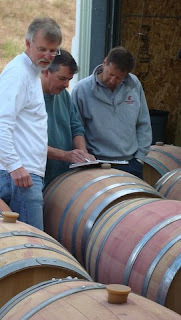 Happy Anniversary Mike … I have enjoyed your writing and also running into you in many interesting wine regions worldwide. Cheers to 10 years and many more! Mike (& Sue), your observations and prognostications are always interesting. Happy 10th, Mike. I trust you are opening something special, no? Yes! 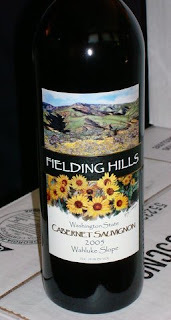 We don’t have any of the 2005 Fielding Hills left, but the 2006 FHW Syrah was a great way to celebrate! 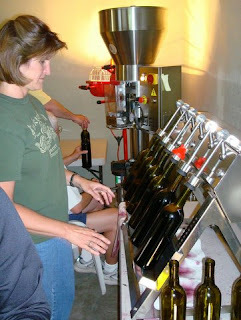 Congratulation on 10 years, your Idea of Wine class was one of the most fun classes I ever took. Well that and Econ 371 International Economics. Looking forward to your continued insights.